Say what you will, but one cannot disagree that you need a little bit of Punjabiness to perk up almost everything once in a while. 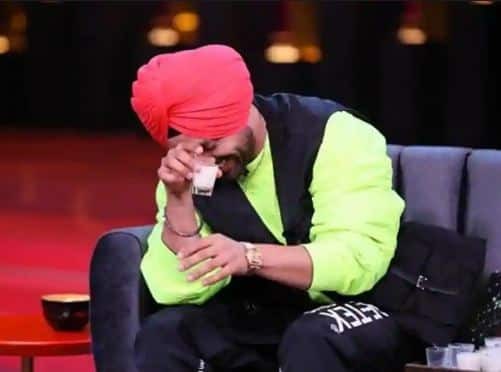 The best example was last night’s episode of Koffee with Karan with Diljit Dosanjh and Baadshah, as Karan put it, in the house. 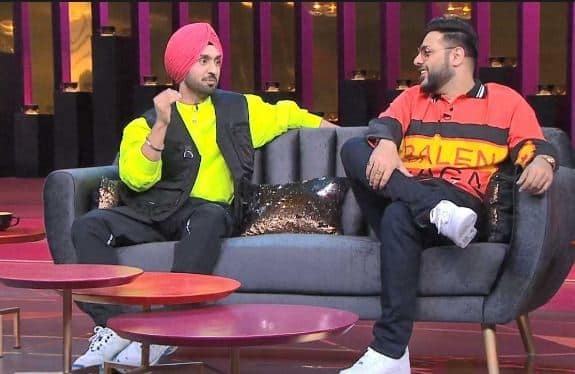 From three men bonding over their undying love for fashion to having shots of lassi and tons of double meaning joke, this was probably the most unlike Koffee With Karan episode ever. Over the years Koffee With Karan has become synonymous with the ‘rapid fire’ round and this season they have introduced another set of fun games, but for this episode, Karan introduced something called the fashion quiz. As Karan kept pulling out one jacket after another from a Louis Vuitton trunk, which by the way are all from his personal collection, Diljit and Baadshah kept shouting the brand names. Who knew three men bonding over their love for extravagant fashion could be this entertaining to watch. Usually, guests on Koffee With Karan are dressed to the nines in formals. But this is probably the first time in the history of the show that two guests have turned up in lounge wears. 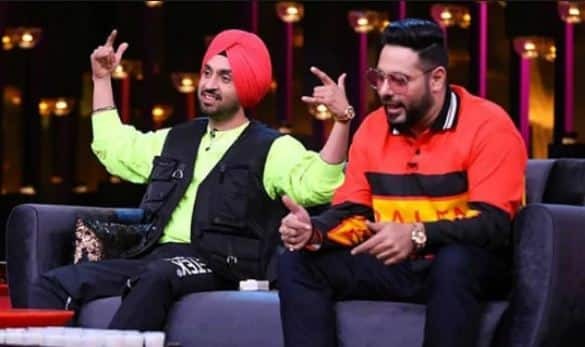 Diljit’s neon green jumper with a black bomber jacket and Baadshah’s orange Balenciaga t-shirt that we have previously seen on Karan himself screamed that the vibe of the episode was going to be DIFFERENT. You know you have Punjabis in the house when instead of coffee, Karan plays a game with lassi shots. There was something so incredibly fun and real about both Baadshah and Diljit pointing out that whoever had made the lassi had made a great job. When was the last time we saw a guest blushing on Koffee With Karan? It was probably Salman Khan when he was talking about his virginity. But nothing comes close to the bundle of adorableness that is Diljit. From blushing like a beet when he had to admit that he has made out in a car to unabashedly accepting that he does not know the meaning of the words like ‘intoxicated’ and ‘affable’, this guy is as adorable as he is real. Koffee With Karan is arguably the most widely watched English language show in India and given the super posh Karan Johar is the host of the show the usual vibe of the show is always a little ‘urban chic. But the two Punjabi boys added just so much of desi tadka in the show and for a change, it was amazingly fun to watch Karan chatting away in Hindi.